This time last year, businesses operating in the oil sands of Alberta seemed pretty much done for. 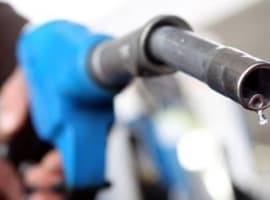 Canadian crude sold for less than US$20, and there was no chance of higher prices as OPEC had dug its heels in, pumping ever-increasing amounts of crude, and environmental opposition towards the industry kept growing and getting louder. A year later, those that made it through the worst of the price crisis are leaner due to heavy cost cuts, and also meaner, capable of adapting to a consistently lower price environment. Ironically, they have OPEC to thank. The cartel, which seemed determined to drown shale boomers and oil sands producers along with them in cheap oil, eventually discovered that it would suffer as well, and may possibly suffer to a greater extent than its target, so it struck a production cut agreement that pushed prices up above US$50 a barrel. At US$50 a barrel, it seems that a lot of troubled oil businesses came back to life. As Bloomberg reports, there is intensive rehiring in oil sands drilling, and producers are announcing expansion plans. For this, they also have their own government and the new U.S. president to thank. 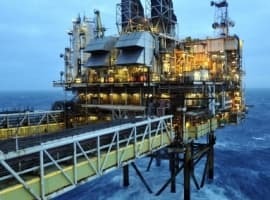 Last year, pipeline operators and analysts warned that Canada’s crude oil transportation is operating at capacity, but production is set to expand – prices had already started climbing up and E&Ps were fast improving efficiency, bringing production costs down and planning solid investments for the future. These plans ran counter to Ottawa’s green agenda, but in the end the importance of the oil sands for the economy of the country prevailed, and PM Justin Trudeau approved two pipeline expansion projects last November: Kinder Morgan’s Trans Mountain and Enbridge’s Line 3. Like it or not, pipelines have proved safer than trains in transporting crude and the choice was to either build more pipelines or switch to trains to carry the additional output. Then came the other piece of good news for oil sands operators: President Donald Trump earlier this week approved two highly controversial pipeline projects—pipelines which his predecessor had vetoed due to environmentalist opposition, but which would inject further optimism in the energy industry. Related: Is Libya A Bigger Threat To Oil Prices Than U.S. Shale? One of the pipeline projects, the one that directly concerns Canadian oil producers, is the Keystone XL, which sparked the outrage that led to the presidential veto on the grounds of environmental concern and lack of evidence that the project will be of any substantial economic benefit to the U.S. This means three major pipelines are being added to Canada’s oil transportation network, boosting overall pipeline capacity by 1.79 million bpd. The current daily production rate in Western Canada is 3.7 million barrels, most of which is transported by pipeline. Things are shaping up pretty well for the energy industry of Canada on the face of it, but as usual, nothing is certain. General opposition to the pipelines and oil sands is unlikely to die down, not after Trudeau himself said that oil sands would need to be “phased out” in the future. More protests are to be expected against the three pipeline projects as well, especially Keystone XL, not to mention that oil prices could fall at any moment. The international market is extremely volatile and could be swung on a word, as we have seen it happen last year on general remarks coming from Saudi Arabia’s and Russia’s oil ministers. 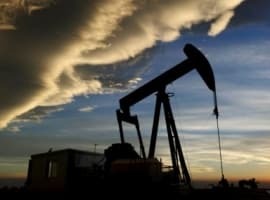 If, however, prices stay stable – price stability is most important for the oil sands industry, one Cormark Securities analyst told Bloomberg – and Ottawa and Washington find a way to appease those concerned about the environmental impact of the new pipelines, the future could indeed be rosy for oil sands.